I have always found it difficult to eat green leafy vegetables. I would easily ignore any leafy veg in the grocery store when I go to pick vegetables. 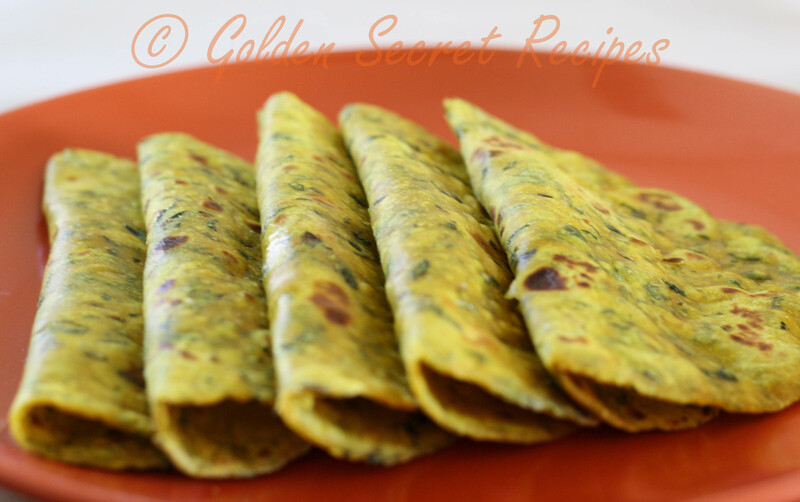 One day I saw Methi(Fenugreek) Thepla in the store and was tempted to buy it. And as it turns out, it didn’t have the flavor of the fenugreek leaf afterall. Since it is a Gujarati dish, I never knew about this bread until I heard it in ‘3 Idiots’ movie. And it sounded like a complex thing. With the ingredients mentioned in that pack, I thought I should give it a try. And I am happy I tried 🙂 If you have kids who make a big fuss about eating leafy vegs, try this and I guarantee that kids would have no complains with this one!!! 1. Make a paste of the ginger and green chilli. 2. Coarsely chop the fenugreek leaves and the coriander leaves. 3. Mix all the ingredients mentioned above expect yogurt, in a mixing bowl. 4. The reason why yogurt shouldn’t be added is because, the Fenugreek leaves will leave out some water. Based on that, you can add yogurt later. 5. Add yogurt as required to knead the dough of the consistency of a chappati dough or slightly thicker consistency of a pizza dough. 6. Keep aside the knead dough covered in a muslin cloth/kitchen towel for about an hour or atleast 30 mins. This step is very important because, otherwise your dough will not have proper binding and the bread is going to be very brittle. 7. Make golf sized balls with the dough. 8. Roll out each ball in a lightly floured surface using a rolling pin until it becomes thin like a tortilla/roti. 9. Heat a skillet over medium heat. Once hot, put the rolled out dough into the skillet and cook it. Once the underside gets some brown spots, turn it over and cook the other side. Repeat this process till the bread is well cooked. 10. You could use some oil/ghee/clarified butter to grease the surface of the skillet while cooking the bread. 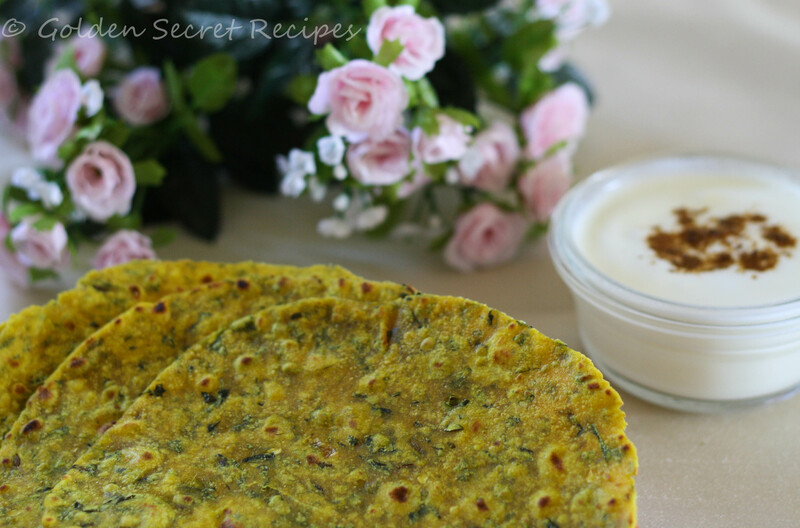 This entry was posted in Bread 'N' Breakfast, Specialities-Veggie and tagged How to make thepla, Methi ki roti recipe, Methi Thepla recipe, Recipe for Methi thepla. Bookmark the permalink.